Ball Above All, the top recreational basketball league in the UAE, began its new season with the first round of games in the Elite League this past week. A thriller took place in the Dolphins’ 73-72 narrow win over Dubai Heat, which went down to the final seconds. After Dolphins led most of the game and pushed their lead to 16 points by the end of the third quarter, Dubai Heat fought back valiantly in the fourth and took the lead with 40 seconds left. 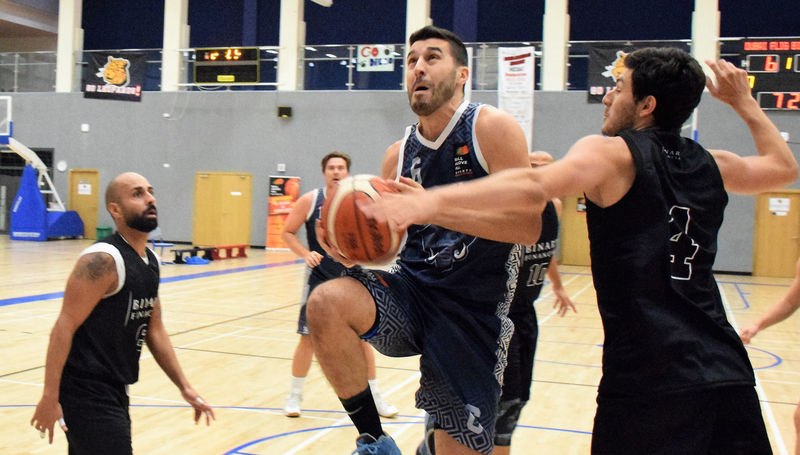 Karim Hachani had other plans, however, and nailed a 3-pointer to put Dolphins back ahead and secure the win. Lloyd Edjuto was the standout player, finishing with 23 points, five rebounds, five assists and a steal. Spartans, meanwhile, defeated Vipers 69-61, handing the 3-peat champions a rare loss. Spartans came out strong in the first quarter and kept the league throughout the contest, with Max Klein shining brightest with 21 points, three rebounds, two steals and an assist. The clash between Binary Financial and Dubai Flight wasn’t nearly as close as the former earned a convincing 92-48 blowout victory. At the centre of the dominant performance was Bilal Abdullah, who dropped 36 points to go with seven rebounds, six assists and two steals. Raising the bar: Ball Above All. Picture credit: Edmir Capuno. For too long, the basketball community in the UAE has been segregated, with local clubs on one side and expatriates on the other. Through its involvement in the ongoing Vice President’s Cup, Ball Above All is finally bridging the gap between the two in a move that could open doors in growing the game in the region like never before. 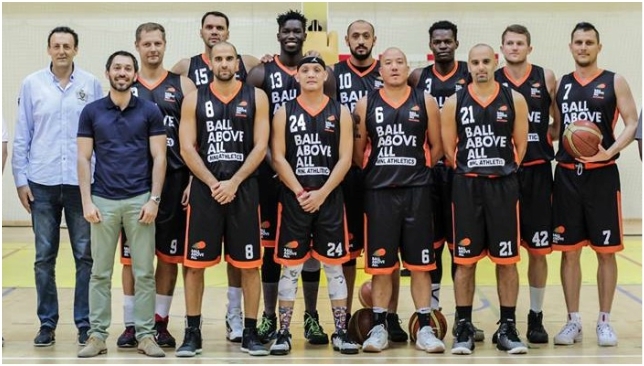 If you’re a regular on the basketball scene here, you’ve already heard of Ball Above All, a concept Belal Abiad brought from Australia to Dubai in 2013. Best described as a community, it offers pick-up sessions, leagues, tournaments and a soon-to-be academy, catering to players of all ages, genders and skill levels. In fact, the level of competition has gotten so high – specifically in the Men Elite League – that Ball Above All is now playing against professional teams. “Honestly, the Ball Above All Elite League, the level is fairly high, compared to the UAE in general. When we play these teams, for us it’s a good run,” Abiad said. Their breakthrough came in February’s Dubai International Basketball Championship, where they earned a spot among renowned clubs boasting former NBA players. The showing in the competition, coupled with the exposure they had already built up, put Ball Above All in consideration for the Vice President’s Cup, which enters the quarter-finals stage today. When the UAE Basketball Association was struggling to get teams for the tournament, the interest became mutual and suddenly, Ball Above All was rubbing shoulders with local clubs who normally only play amongst themselves or against international sides. Despite struggling for sponsorship and having had to pay for everything, from entry fees to medicals to uniforms and more, Ball Above All have more than held their own against the five local squads: Al Wasl, Shabab Al Ahli Dubai Club, Sharjah, Al Nasr and Bani Yas. They’re now in the finals where they’ll place Shabab Al Ahli Dubai Club on Wednesday after compiling a 3-2 record in the group stages (one loss was due to a forfeit) and defeating Al Nasr and Al Wasl in the playoffs. Two of Ball Above All’s players, Mamdou N’Daiye and Amer Al Sati, have impressed so much in the Cup that they’ve garnered attention from the local sides and are in talks to sign on as professionals for the 2018 season. 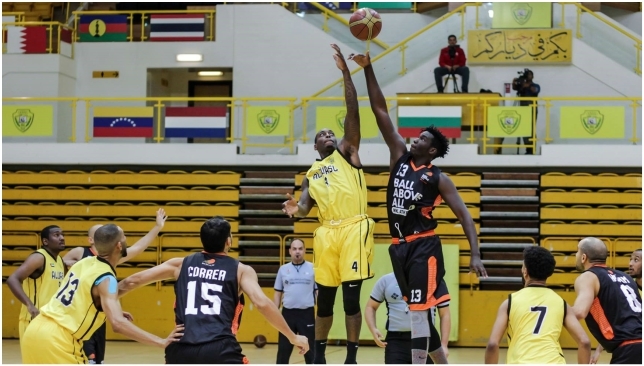 “That’s a good sign for expat basketball where people can have a team such as Ball Above All and if they’re good enough they might have a chance if they’re born here to play in the UAE league as a professional,” said Abiad. Whether or not they win the title, Ball Above All have left an impression and shown what a greater synergy between local and expat basketball in the region can yield. “We’ve proved our level without getting paid,” Abiad said. “So imagine if you’re actually paying professionals and training them to do this. That’ll be huge. You’ll produce big results. 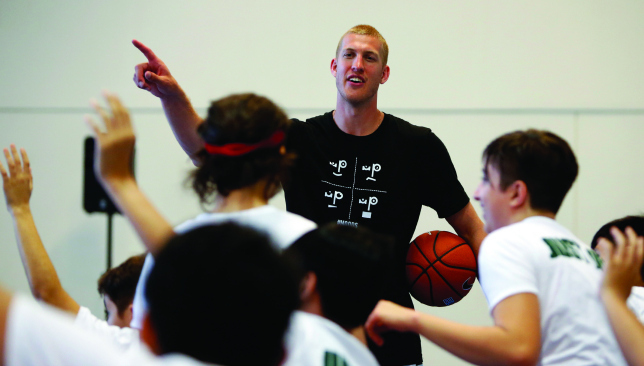 Just days from potentially making the most important decision of his NBA career, Mason Plumlee isn’t holed up with his agent, weighing financial pros and cons or preferred destinations. He’s in fact doing the opposite, spending his days in a gym in the middle of nowhere, all the way across the world, with kids who likely have never heard his name – not because Plumlee is a fringe NBA player, but because basketball still has a considerable distance to go in terms of participation and following in the UAE. Yet here’s Plumlee, hosting a basketball camp in collaboration with Duplays and East Sports Management at GEMS Wellington Al Khail, despite the NBA’s free agency period beginning on Saturday. For the first time in his career, the 27-year-old will be a free agent, albeit a restricted one whose rights are still held by the incumbent Denver Nuggets. Business, however, appears to be far from Plumlee’s mind as the 6’11” big man towers over a group of kids aged eight to 16, leading them through various drills and mini-games at his camp, which concludes with its second and final day today. This isn’t the first time Plumlee has visited Dubai. Back in 2011, as a fresh-faced 21-year-old, he made the trip with Duke University to take on the UAE national team. Six years later, he’s noticed basketball’s slow, but steady development in the region. “I’ll tell you what, at the grassroots level it’s a lot better than I expected,” Plumlee tells Sport360°. “I know we played the national team when I came with Duke University, but the kids here are very good and they love the game, so it’s fun to have a camp with them. “I think there’s no limit. The biggest thing is you have to get the kids playing and you have to give them instructions and fundamentals. As the game grows – the NBA has grown the game in a lot of other countries – I think this area is next on that list. That’s the exact aim of Plumlee’s camp. The kids learn how to dribble, pass, take layups and other basic skills that serve as the foundation for any advanced training. As educational as it is, the children have more than their fair share of fun, at times going at Plumlee before learning a lesson that many guards in the NBA can relate to – challenging a 7-footer is easier said than done. Eight-year-old Maya Bitar had the right idea, figuring out how “to get closer to the net to shoot”, while her friend, Zuhair Abu Aysha, also aged eight, described his favourite part as “learning how to do the shots and passing”. Abu Aysha typically participates in taekwondo and swimming, but after spending four hours on the court with an NBA player, he says he’ll now play more basketball. That’s Plumlee’s ambition at the end of the day – a greater love and appreciation for the game. That’s also something the NBA want, with the league potentially bring an exhibition game to Dubai in two to three years, according to Ben Morel, senior vice president and managing director of Europe, Middle East and Africa (MENA). That’s something to think about for another day, as is a new contract for Plumlee. For now, a giant among children is happy to share his own passion, with the hope it’s contagious.